Inking on the Edge: Reverse Confetti...DS # 155 & CTD # 296...Thanks A Bunch! Reverse Confetti...DS # 155 & CTD # 296...Thanks A Bunch! Hello Stampin' friends! I've missed you!!! It feels good to be back making cards and playing along with some of my favourite challenges! We've had a crazy couple of months! My husband, Chris, has been having some health issues (he's actually had 5 small intestinal obstructions over the past year, which has been SO stressful and frustrating beyond belief). So with the last obstruction the doctors finally decided to operate but still haven't been able to determine what has been causing the obstructions. He's home from hospital now and recuperating from the surgery. We are glad to have him home and life is slowly returning to some semblance of normal, so I was able to get some crafty time and make a couple cards today...YAY!!! 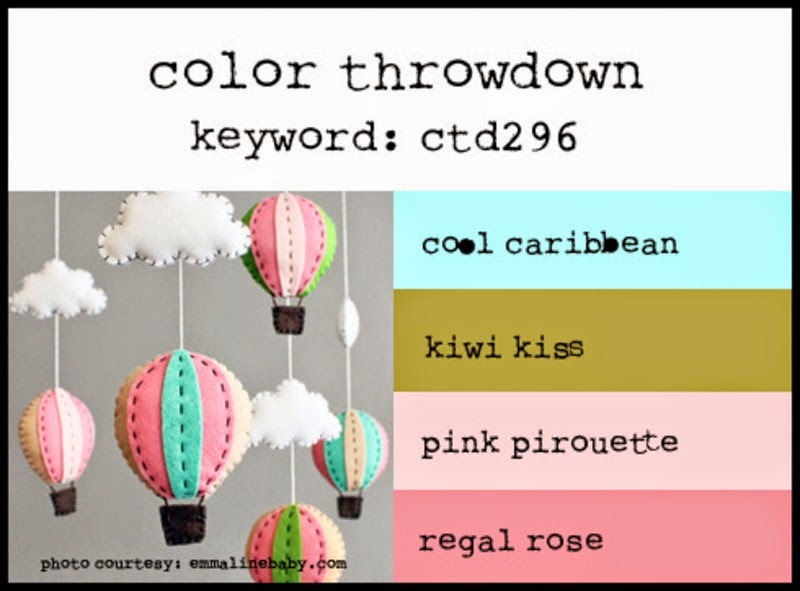 ...and this pretty colour swatch from the Color Throwdown # 296!!! 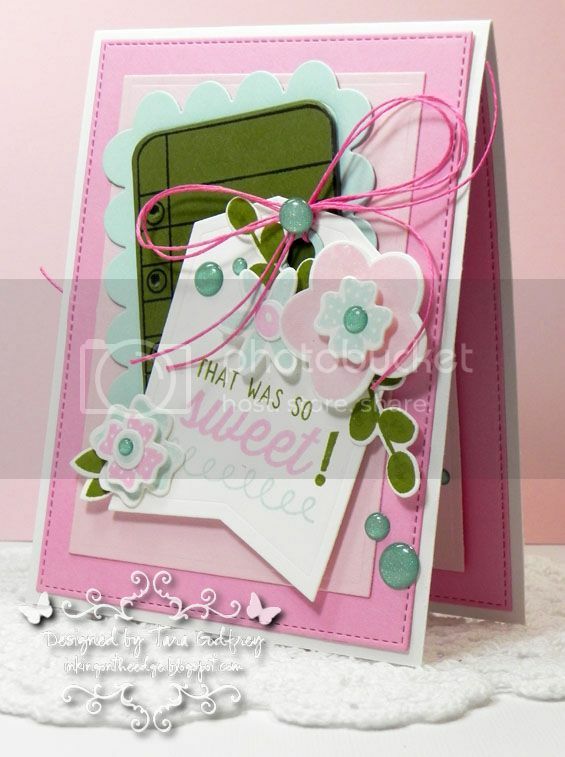 I used MFT Replenishments Heavyweight Card Stock in Sno Cone, Jellybean Green, Pink Lemonade and Cotton Candy! I've been dying to ink up the Reverse Confetti Petals 'n Posies Stamp Set and I used the coordinating Reverse Confetti Petals 'n Posies Confetti Cuts. I stamped with MFT Premium Dye Ink in Sno Cone, Cotton Candy and Jellybean Green. I embellished with a few Sparkly Blue Gumdrops from YNS and added some pink AC Hemp cord. 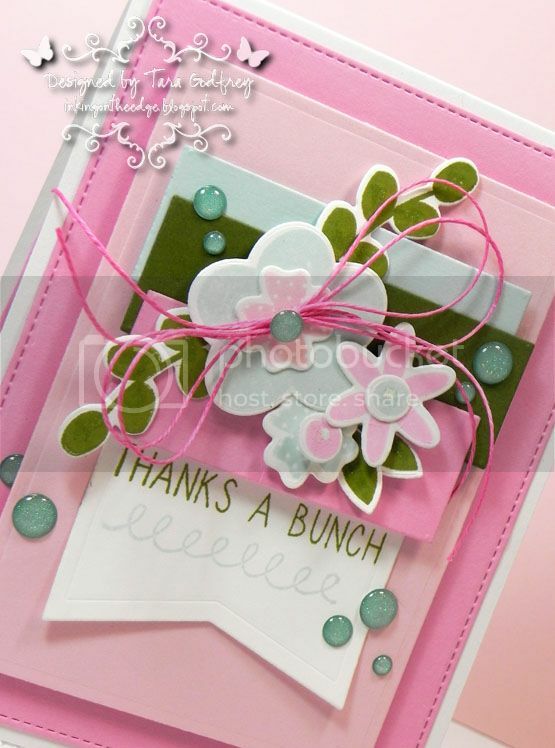 I added a the little loopy border stamp from the Reverse Confetti Tinsel 'n Trim Stamp set...it's SO cute! I also used the cute little leaves from the Reverse Confetti Class Act Stamp set and tucked them under the little posies. I finished off the inside of the card too....the sentiment is from the Reverse Confetti Sweet Thing Stamp set and I use the Tag Me Confetti Cuts, Love Note Confetti Cuts, Class Act Confetti Cuts. 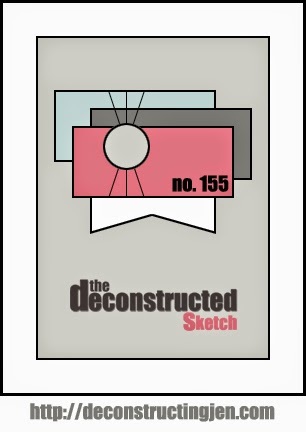 Thanks SO much for popping by and havin' a wee peek at my RC Petals 'n Posies card with the great sketch that they have over at The Deconstructed Sketch # 155 and the Color Throwdown # 296. Lovey to see you creating again and what a beautiful card <3 hope hubby has a quick and complete recovery. oh, My Tara! continues prayers to your husband. I hope they figure it all out. Thankgoodness for stampy therapy for you! this is stunning. 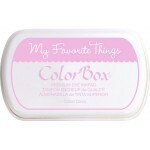 loooove the RC products you used and those colors are beautiful. you're cards always blow me away. Hugs! 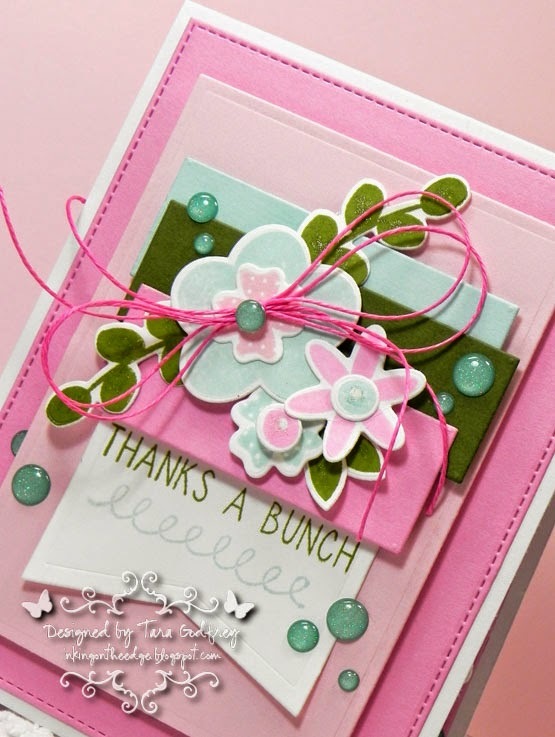 RC dies you used and the gum drops are such a fabulous detail!!!! Thanks for joining us for the Color Throwdown Challenge!!! My prayers to your husband and your family. So sorry to hear of his health issues and that the doctors have been so unsure of cause and treatment. I love this beautiful creation. You may tempt me to my first RD purchase.